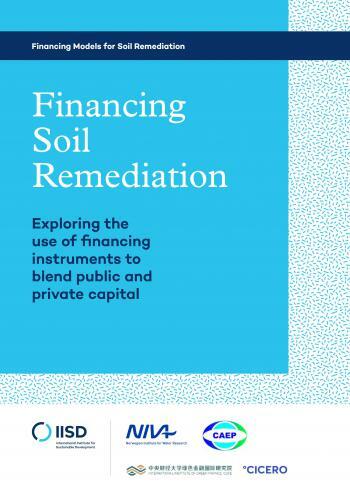 The International Institute for Sustainable Development (IISD) recently released a report entitled Financing Soil Remediation: Exploring the use of financing instruments to blend public and private capital. The IISD report presents 17 case studies on a variety of financing instruments that blend public and private capital. Each case study includes a short discussion on the extent to which each instrument could be used to finance the remediation of contaminated soil. The case studies in thereport demonstrate a variety of financing strategies, from index-linked bonds to savings accounts and from peer-to-peer lending platforms to debt-for-nature swaps. This report is a part of a series of outputs of a four-year project, Financing Models for Soil Remediation. The overall objective of the project is to harness the full range of green finance approaches and vehicles to manage the associated risk and fund the remediation of contaminated soils. The series of reports focuses on the financial vehicles available to attract investment to environmental rehabilitation of degraded land and the financial reforms needed to make these vehicles a viable and desirable means of investing in land rehabilitation. The IISD draws on best practices worldwide in funding environmental rehabilitation, with a special focus on the design and use of financial mechanisms to attract private investors, share the risk and offer a clear benefit for the rehabilitated land. finance the remediation, or at least a larger part of it. The International Institute for Sustainable Development (IISD), headquartered in Winnipeg, Manitoba, is an independent think tank championing sustainable solutions to 21st–century problems. The mission of the IISD is to promote human development and environmental sustainability. IISD focuses on research, analysis, and knowledge products that support sound policy making. Kitchener, Ontario’s biggest abandoned industrial site is well on its way into being redeveloped into a 50,000-square-foot facility for a tool and die company and a 3,150-square-metre medical office building. 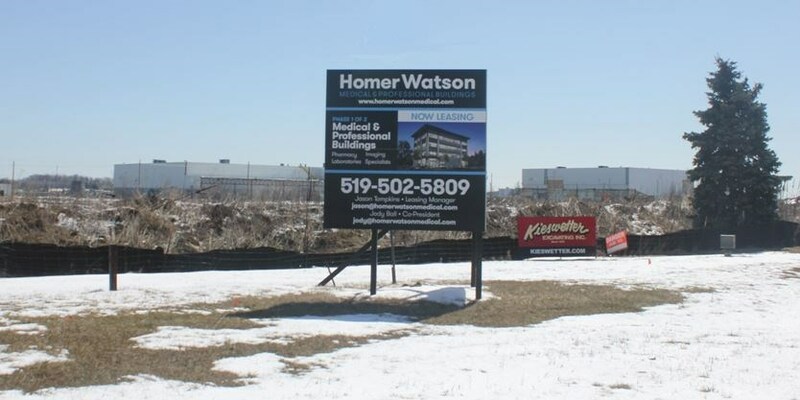 The 78-acres industrial site is located on the southeast corner of Bleams Road and Homer Watson Boulevard in Kitchener, approximately 100 km west of Toronto. It was developed with a 1.2 million square foot manufacturing facility that was constructed in several phases beginning in 1967. The facility had been used by Budd Canada to manufacture auto parts, ThyssenKrupp Budd Canada, and eventually by Kitchener Frame. The land has sat idle since 2009. In 2010, a group of investors purchased the property with the vision of redeveloping it. It has taken eight years for the redevelopment to reach its current state – a series of approvals from various levels of government and a plan to start construction in early 2019. The site is still waiting approval of the Record of Site Condition (RSC) from the Ontario Ministry of the Environment, Conservation and Parks (MOECP). It was filed in January of 2018. An RSC is typically required by on Ontario Municipality if a property is being redevelopment for a more sensitive land use (i.e., from industrial to commercial or residential). 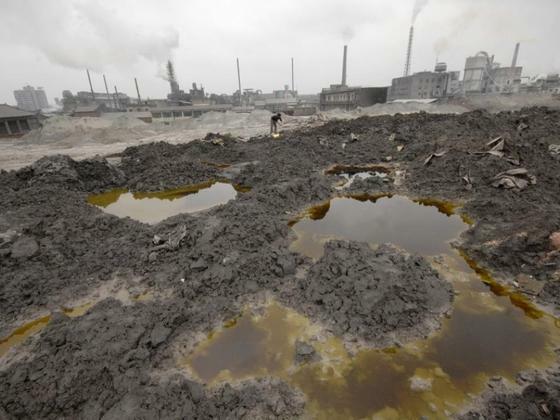 It is filed by an environmental consultant following the clean-up of a property. It summarizes the environmental condition of a property based on the completion of environmental site assessments (i.e., Phase I & II ESAs). Demolition work and subsequent site cleanup got underway in November 2011. 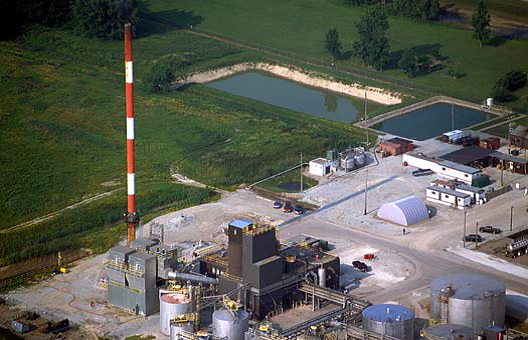 The environmental remediation cost an estimated $8.5 million. 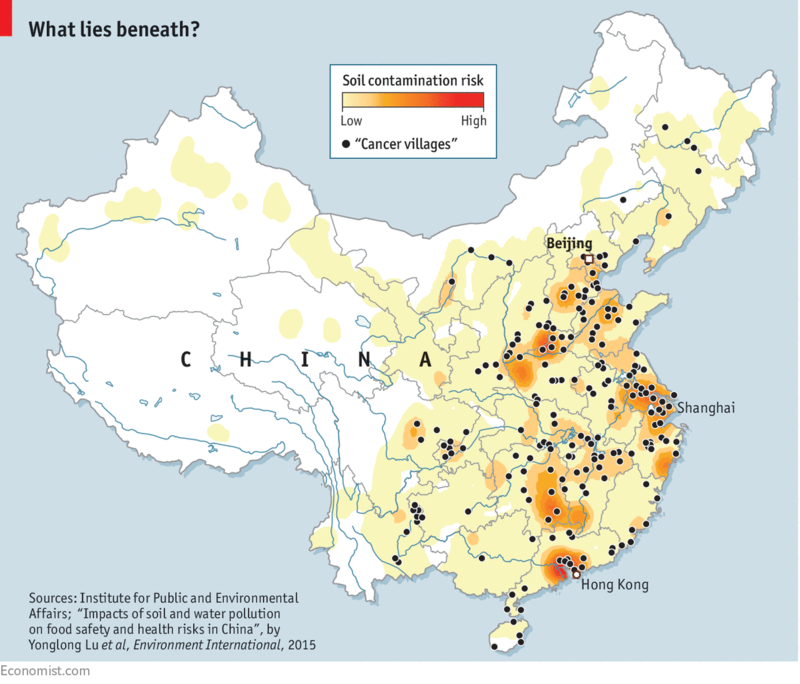 concentrations of the contaminants of concern s in soil identified at the property. 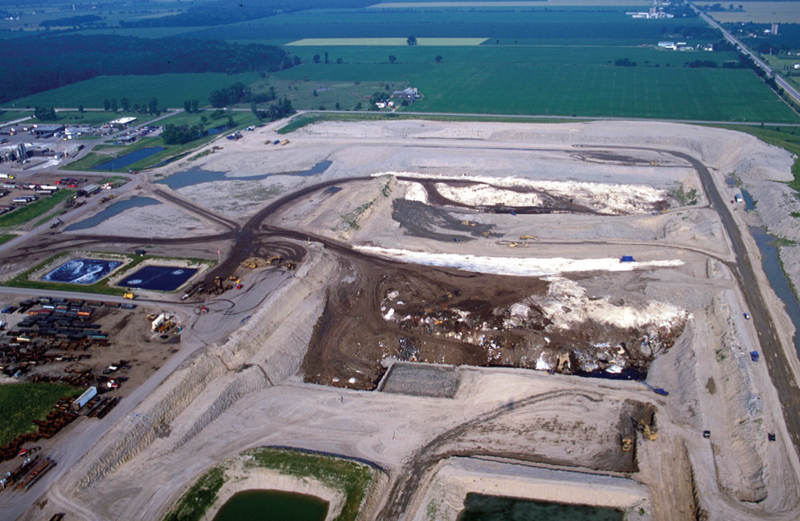 The remediation activity at the site included the excavation of approximately 9,360 cubic metres (5,200 tonnes) of contaminated soil for disposal at a licensed non-hazardous waste landfill. No sediment or groundwater was remediated or removed for the purpose of remediation. The clean-up of the site included the preparation of a Streamlined Tier 3 Risk Assessment Report. A risk assessment provides an approach for developing property specific standards (PSS) under Ontario Regulation 153/04 (Records of Site Condition (RSC) – Part XV.1 of the Act), made under the Environmental Protection Act (the Regulation). A Tier 3 Risk Assessment goes beyond the generic approach of a Tier 2 risk assessment and involves a longer and more detailed review by the MOECP. According to the filed RSC, the MOECP has approved of the Streamlined Tier 3 Risk Assessment. As reported in the Kitchener Post, a total of $7,787,000 in direct remediation costs are eligible to be reimbursed by the city and region under a joint tax increment grant application. The total estimated post redevelopment assessment value is estimated at more than $111 million. As of mid-October, the city had received site plan applications for two developments — a 50,000-square-foot facility for a tool and die company and a 3,150-square-metre medical office building. Plans for the redevelopment envisage nine industrial parcels, totaling approximately 39 acres. Dan Soeder, director of the Energy Resources Initiative at the South Dakota School of Mines & Technology, has co-authored the cover article titled “When oil and water mix: Understanding the environmental impacts of shale development,” in the recent issue of GSA Today, a magazine published by the Geological Society of America. 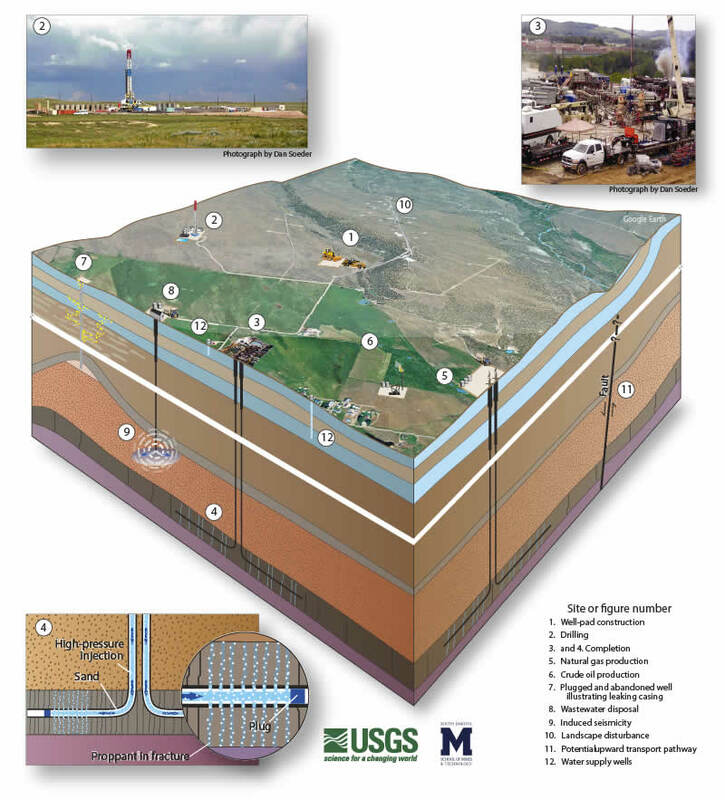 The article explores what is known and not known about the environmental risks of fracking with the intent of fostering informed discussions within the geoscience community on the topic of hydraulic fracturing, says Soeder. 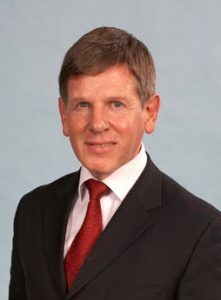 Soeder’s co-author is Douglas B. Kent of the United States Geological Survey. “Geoscientists from dinosaur experts to the people studying the surface of Mars are often asked by the public to weigh-in with their opinions on fracking. We wanted the broader geoscience community to be aware of what is known and not known about the impacts of this technology on air, water, ecosystems and human health. A great deal has been learned in the past decade, but there are still critical unknowns where we don’t yet have answers,” Soeder says. Development of shale gas and tight oil, or unconventional oil and gas (UOG), has dramatically increased domestic energy production in the United States and Canada. UOG resources are typically developed through the use of hydraulic fracturing, which creates high-permeability flow paths into large volumes of tight rocks to provide a means for hydrocarbons to move to a wellbore. This process uses significant volumes of water, sand, and chemicals, raising concerns about risks to the environment and to human health. In the article, Soeder and Kent address the various potential impacts of fracking and how those impacts are being addressed. Risks to air include releases of methane, carbon dioxide, volatile organic compounds, and particulate matter. Water-resource risks include excessive withdrawals, stray gas in drinking-water aquifers, and surface spills of fluids or chemicals. Landscapes can be significantly altered by the infrastructure installed to support large drilling platforms and associated equipment. Exposure routes, fate and transport, and toxicology of chemicals used in the hydraulic fracturing process are poorly understood, as are the potential effects on terrestrial and aquatic ecosystems and human health. Schematic diagram illustrating unconventional oil and gas (UOG) development activities relevant to research on human-health and environmental impacts (not to scale): well-pad construction (1); drilling (2); completion/stimulation (3, 4); production of natural gas (5) and oil (6) with well casings designed to protect drinking-water aquifers; ultimate closure (plug and abandon), illustrating legacy well with leaking casing (7); wastewater disposal (8); induced seismicity (9); landscape disturbance (10); and potential for transport pathways from deep to shallow formations (11). Also represented are water supply wells in shallow and deep aquifers (12). Photographs by Dan Soeder. The City of Saskatoon, Saskatchewan is in the process of implementing a Brownfield Renewal Strategy that it deems essential to growth in its main corridors. The initiative aims to assess and prioritize redevelopment potential of abandoned, vacant, derelict, or underutilized properties along the City’s major corridors that may have or do have perceptions of contamination. The results of the brownfields evaluation will lead to the formulation of an incentive program that will help overcome financial and environmental barriers for redevelopment, as well as provide contamination management plans for future development. One recent brownfield development in Saskatoon was initiated by a not-for-profit organization called CHEP Good Food. CHEP has been promoting food security in Saskatoon for nearly 30 years. The organization is currently working toward restoring a plot of contaminated land to an agricultural plot of land. The non-profit group, which works to promote food security, has already won a grant from CN Rail that will help them plant native trees and bushes at another brownfield site in Saskatoon and to restore the soil. The project received the CN EcoConnexions grant through Tree Canada / Arbres Canada and Canadian National Railway Company to plant native trees and shrubs on the site. A previous fruit and vegetable garden project by CHEP began in 2014 under a different name as rooftop gardens at the University of Saskatchewan. The project relocated to the brownfield site in 2015 and was renamed the Askîy Project — which means “Earth” in Cree. The latest CHEP project is more ambitious than the existing Askîy Project. It involves growing trees and bushes directly in the soil as well as remediation the site. A professor from the University of Saskatchewan, Susan Kaminskyj, will oversee experimental bio-remediation at the site. The bio-remediation will consist of utilizing native a fungi that will assist the plants in growing but will also biodegrade the petroleum hydrocarbon contamination at the brownfield site. Professor Kaminskyj explained in an interview with CBC, that the microbe is a common fungus, but one with “unique abilities.” A property in the fungus allowed plants to grow and thrive on coarse Oil Sands tailings. In early field trials, Professor Kaminskyj’s team found more than 90 per cent of dandelion seeds treated with the fungus sprouted on coarse tailings while no untreated seeds sprouted. The researchers also found the fungus was able to grow with diesel, crude oil and similar materials as its only nutrient source. http://hazmatmag.com/wp-content/uploads/2018/10/kristen-severight-dumais-in-the-gardens-of-the-askiy-project.jpg 439 780 John Nicholson http://hazmatmag.com/wp-content/uploads/2017/01/hazmat-logo.jpg John Nicholson2018-10-10 07:53:192018-10-10 07:53:19Can a Saskatoon brownfield be transformed into fertile green space? The Government of Canada recently announced that the former Tundra Gold Mine, located in the Northwest Territories, has been successfully remediated. The cost of clean-up was $110 million and was paid for by the government. 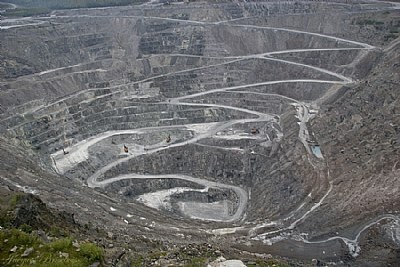 Tundra Mine was briefly operational in the 1960’s and was used as a dumping ground in the 1980’s. It’s former owner, Royal Oak Mines went bankrupt in 1999. Remediation of the site included revegetating soil, sealing mine openings, consolidating and isolating tailings and waste rock, treating petroleum hydrocarbon impacted soils, erecting barriers for erosion control, and removing buildings. The clean-up project lasted more than a decade. Though some re-vegetation has begun, the land – around 240 km north-east of Yellowknife – will remain recognizably an old industrial site for decades to come. Dominic LeBlanc, Canada’s newly installed minister for northern affairs, called Tundra’s remediation “a great example of the hard work of northerners and the importance of partnerships with local Indigenous communities.” Northern residents represented 76 percent of the project’s suppliers and 61 percent of its employees. The Minister stated that the restoration will help local Dene and Métis peoples once again use the land for traditional practices. The Canadian government will continue to oversea that monitoring of the site to ensure it remains stable. Monitoring, using a combination of on-site equipment and drones, will cost an unspecified further sum each year. 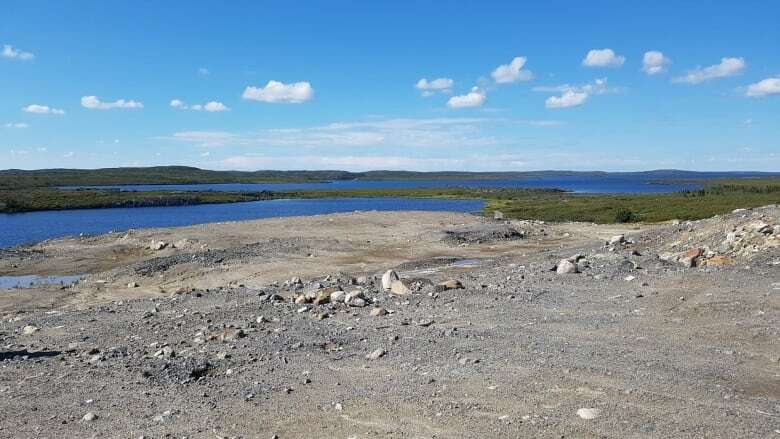 According to an article in Cabin Radio, Tundra’s successful clean-up remains a drop in the larger ocean of contaminated sites within the NWT. Tundra is the 24th site under federal supervision to have reached this stage, a spokesperson for Crown-Indigenous Relations and Northern Affairs Canada said by email to on Cabin Radio. A federal webpage last updated in 2013 suggests Canada is responsible for more than 50 significant contaminated sites in the territory, including those 24. Some entries on the latter list are considered remediated and their files closed. Some are smaller sites not felt worthy of their own, separate clean-up projects. 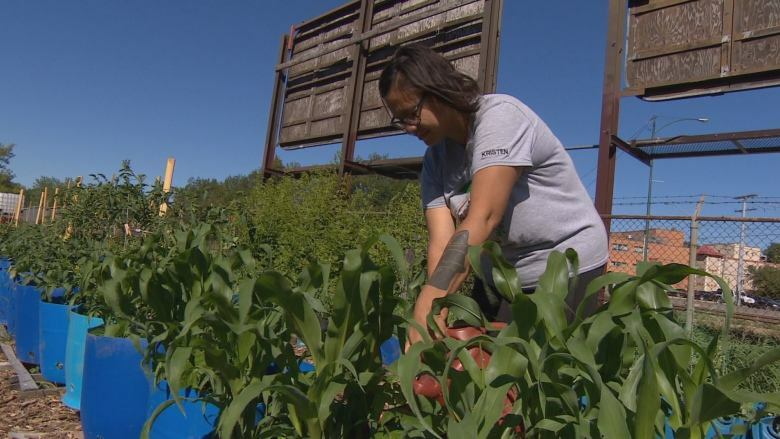 Several dozen of them, for example, are grouped under one project to clean up the Canol Trail, a World War Two initiative which left contaminated soil, asbestos, and a range of hazardous materials strewn across 355 km of the Sahtu. In the 2017-18 financial year, public records show federal agencies were obliged to spend money on some 275 separate contaminated sites in the Northwest Territories. $157,000 was spent assessing a range of those sites, while a little over $103 million was spent on remediation work. Of that figure, around $23.6 million was spent remediating the Tundra site in that financial year. Unsurprisingly, Yellowknife’s Giant Mine – considered among the most toxic sites in Canada, harbouring 237,000 tonnes of poisonous arsenic trioxide in underground chambers – was the only site receiving more remediation money. In the same period Canada spent just over $36 million on Giant, where full remediation work does not even begin until 2020. 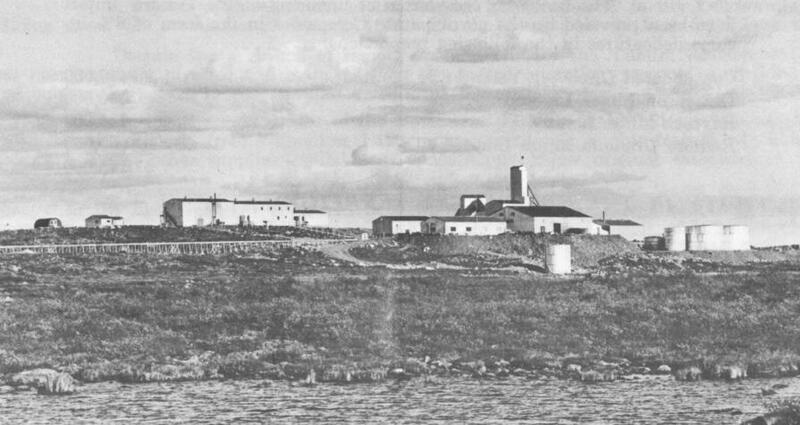 Giant, like Tundra, was owned by Royal Oak when the company collapsed and the site became an unwanted federal problem. The full bill for Giant’s clean-up and maintenance – a program of indefinite, certainly decades-long duration – is expected to reach $1 billion in today’s money. As reported by Global News, Cherokee Canada is fighting five enforcement orders imposed by Alberta Environment and Parks (AEP) connected to the former Domtar Wood Treatment Facility located in Edmonton. AEP has been conducting an investigation on properties associated with the former Wood Treatment Plant. As a result of the investigation, a number of Enforcement Orders were issued to the current owners, Cherokee Canada. 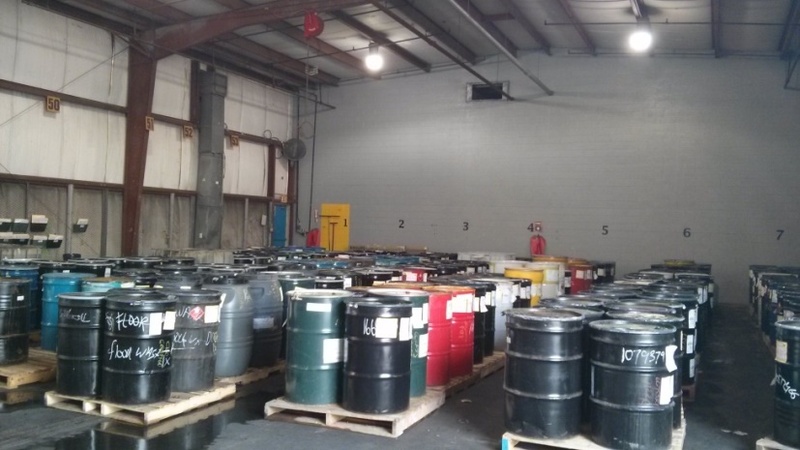 Nearby residents, concerned by off-site migration of wood treatment chemicals, have been kept up-to-date of the results of the AEP investigation and subsequent enforcement actions. 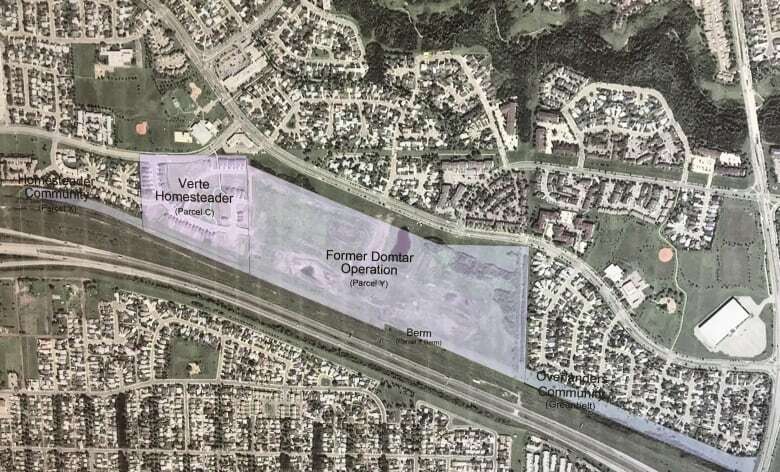 Contaminants from a historical wood treatment processing plant continue to exist on property formerly occupied by the Domtar Wood Treatment Plant. This contamination, which originated prior to 1987, consists of benzene, dioxins and furans, free hydrocarbons, naphthalene, polycylic aromatic hydrocarbons (PAH) mixtures, and pyrene. AEP stated in a news release that it issued the Enforcement Orders to ensure the responsible parties implement appropriate remedial measures and mitigate the potential risks that have been identified. The latest Enforcement Orders require that the source of the contamination be controlled and remedial measures be implemented in specific areas of the property. Results of off-site testing for contamination in early 2018 found that contamination had not migrated off-site and that there are no health concerns in the surface soil of people’s properties. The off-site testing program was conducted by an independent third-party consulting firm under the direction of AEP. 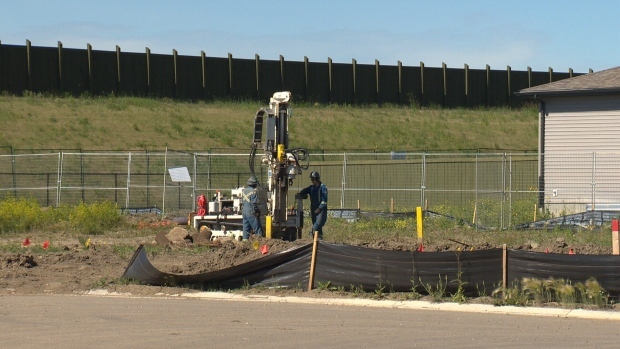 Cherokee Canada, the developer has started turning the site of the old Wood Treatment Plant in northeast Edmonton into a new residential community but the current and ongoing legal proceedings have halted the project. “It’s been very difficult because it’s effectively frozen our activities for three years now,” said John Dill, Cherokee Canada’s managing partner. “It’s very expensive to go through this process, ” he added. Houses have already been built in the neighbourhood but recently, the AEP questioned the safety of the soil. AEP said third party testing at the site found chemicals dangerous to human health. The enforcement orders require Cherokee to remediate any contamination. Both Cherokee Canada and Domtar have completed remediation efforts but AEP, through the enforcement orders, are claiming that they didn’t go far enough. Three environmental experts are heading up the independent appeal board. The board will pass its findings on to the environment minister and Shannon Phillips will make the final decision on whether construction can resume. However, a decision is not expected until December.